Discovered in 1884 in Robards, Kentucky and widely sold throughout the region. 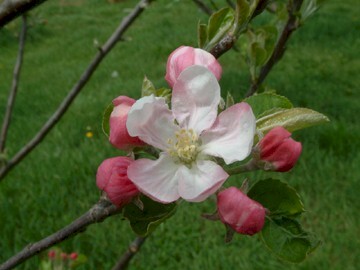 Believed to be an offspring of the more well-known Horse apple, Polly Eades is a late bloomer, thus escaping most late spring frosts. Tree bears early and produces a fruit which can be used for cooking or fresh eating. 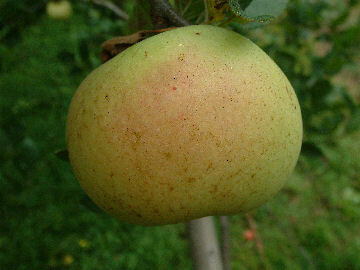 Fruit is medium to large, slightly conical with deep yellow skin with a red blush on the sunny side. Yellowish flesh is juicy, tender, aromatic, and rather tart. Ripens July to August.